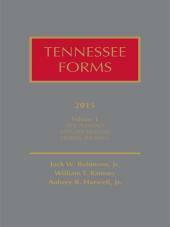 Tennessee Forms eliminates the tedium of legal form preparation. Use these sample forms to save valuable research and case preparation time. Aubrey B. Harwell, Jr., is a Senior, Founding, and Managing partner with the firm of Neal & Harwell in Nashville. He received his B.A. and J.D. from Vanderbilt University and served as a lecturer in law there from 1978 to 1982. He is a life member of the Sixth Circuit Judicial Conference, an Advocate of the American Board of Trial Advocates, and a Fellow of the Tennessee Bar Foundation. A frequent CLE program speaker and seminar leader, he has tried numerous civil and criminal cases throughout the country. William T. Ramsey is a partner with the firm of Neal & Harwell in Nashville. He received his B.S.M.E. at the Georgia Institute of Technology and his J.D. at the University of Tennessee where he was a member of the Tennessee Law Review. He is a member of the Nashville, Tennessee, and American Bar Associations. Jack W. Robinson, Sr. is a partner in the law firm of Gullett, Sanford, Robinson & Martin in Nashville. 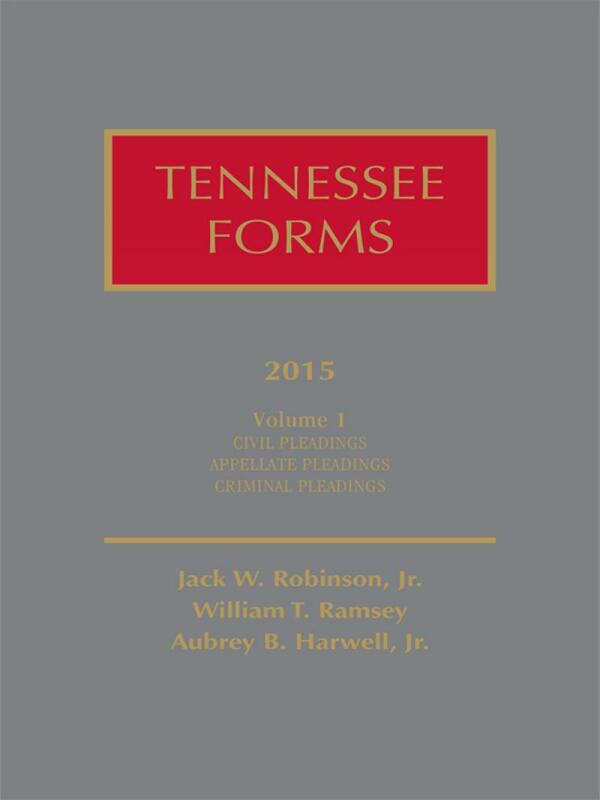 Also author of the Fourth Edition, he is past president of the Nashville Bar Association and is a Fellow in the American College of Probate Counsel.